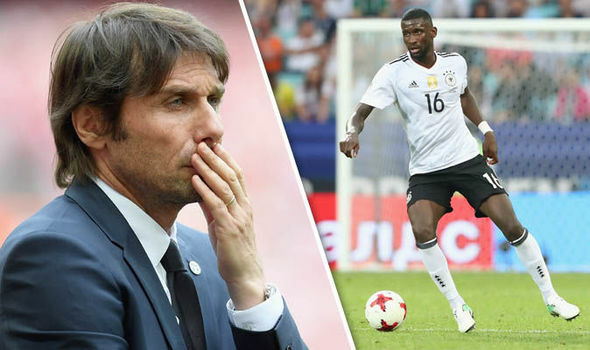 Roma ace Rudiger is reportedly in London ahead of a proposed £34million move to Stamford Bridge, with Blues boss Conte keen to bolster his defensive options. It is thought that the 24-year-old German is set to sign a five-year contract worth £3.5m-a-season, with Rudiger identified as a successor to John Terry. Meanwhile Chelsea are believed to be lining up a club record £60m bid for Juventus wing-back Alex Sandro, with the Serie A club unable to match the wages offered by the Premier League champions. Tiemoue Bakayoko is a long-term target of the Blues while Romelu Lukaku is also rumoured to be close to a return to Stamford Bridge, but how could all of these potential signings fit into Conte’s plans?